This article is for global admins and SharePoint admins in Office 365. If you're running SharePoint Server, see Administer the User Profile service in SharePoint Server. If you're not an admin, see View and update your profile in Office Delve for info about changing your profile. 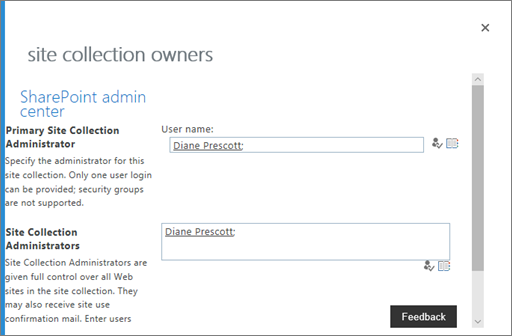 Most organizations don't need to change any user profile settings in the SharePoint admin center. For the organizations that do need to work with user profile settings, this article describes the most common tasks. In Office 365, identity is managed by Azure Active Directory. For info about this, see Understanding Office 365 identity and Azure Active Directory. SharePoint Online receives this profile information. 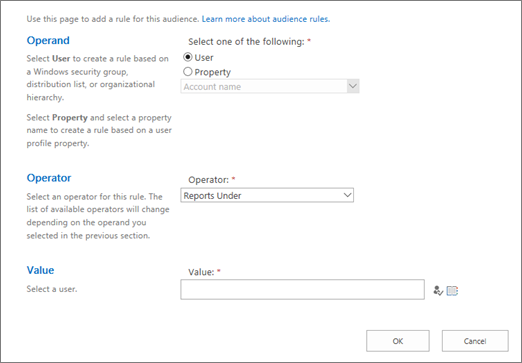 If you need to store additional info about your users, you can create custom properties in the SharePoint admin center. 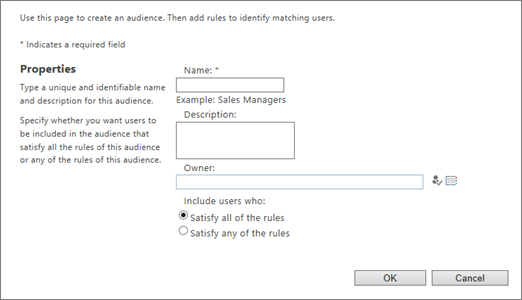 For info about doing this, see Add and edit user profile properties in SharePoint Online. Instead of creating user sub-types in the SharePoint admin center, we recommend using the Microsoft 365 admin center to Compare groups or using the Azure AD admin center to create groups with dynamic membership. Follow these steps to transfer ownership of a OneDrive to a different user, or give a user full control over another user's OneDrive. In the left pane, select user profiles. Under People, select Manage User Profiles. Enter the user's name and select Find. Right-click the user, and then select Manage site collection owners. Add and remove admins for the OneDrive, and then select OK.
For info about automatically transferring ownership of OneDrive to a user's manager when the user account is marked for deletion, see Set up access delegation. For example, you can display a navigational link to only people in a particular geographic location. For info about using audiences, see Target content to specific audiences. Only sites that use classic templates can be customized based on audience. Audiences are not a security feature. They help you deliver relevant content to specific groups of people, but don't prevent content from being available to anyone with the appropriate permissions. Under People, select Manage Audiences. Audiences compile approximately weekly, and you can only view audience members after the audience compiles. The user profiles page shows the number of audiences, the number of uncompiled audiences, and the compilation status and time. If some users are licensed to use OneDrive, but you don't want them to create a OneDrive (perhaps for regulatory reasons), you can prevent them from doing so. If a user already created a OneDrive, changing the following setting won't delete it. Under People, select Manage User Permissions. 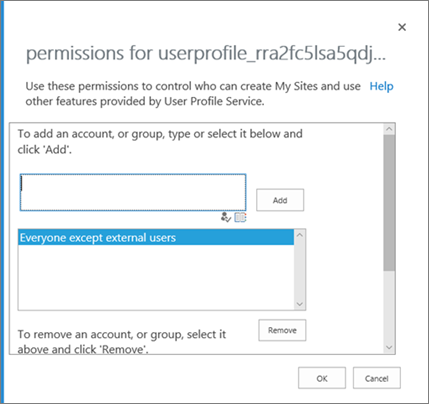 By default, "Everyone except external users" has permission to "Create Personal Site" (which includes creating a OneDrive and saving user data such as followed and frequent sites). Remove that group and add specific groups to allow only a subset of licensed users to create a OneDrive. The Disable OneDrive check box has no effect. Use the "Create Personal Site" check box to specify the security groups that have permission to create a OneDrive.